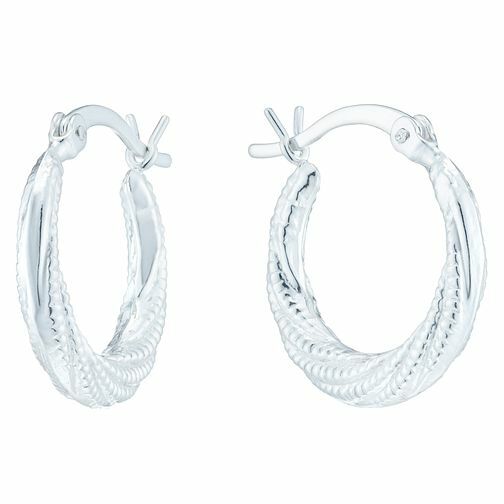 These sterling silver creole earrings blend a classic style with a unique twisted bead design. Sterling Silver Twisted Bead Creole Earrings is rated 4.8 out of 5 by 4. Rated 5 out of 5 by Anonymous from Surprisingly not surprised I bought the earrings as a birthday gift and they made my wife very happy.